Supply Chain: "We won't hit the wall with AI"
Abandoned for a long time by brands in their thinking on digital transformation, the supply chain is now making a noisy return to the spotlight. A momentum particularly encouraged by the rise of data and the growing potential of AI. Study of a textbook case: Watson of IBM. "The consumer is used to being served very quickly", according to Yassine Essalih, Cognitive Supply Chain Consultant at IBM. Encouraged by digital champions such as Amazon, which has integrated the quality and simplicity of the customer experience to its DNA since it began. With services such as direct selling or guaranteed 24-hour delivery, the e-retailer has had to give itself the means of building a technophile supply chain that demands a lot of its partners, becoming the model "Thinking Supply Chain" for all retailers. Improving customer experience is only one a number of results of this transformation; to it can be added a dramatic reduction in logistical faults, such as in-store stock shortages, and considerable savings in transport. However, according to an IDC report, only 8 % of the world's supply chains say that they are at an advanced stage of digitalisation. It is no longer comes as a surprise that the first ally of retailers looking to optimise their activities is data. The optimisation of supply chains is no exception, except that the quantity of data at their disposal is simply enormous. Where certain professions, such as marketing, will exploit specific CRM or transaction data, supply chains have extremely varied sources, all potentially interesting for defining a logistics strategy. For example, "a concentration of purchases in a particular sector can initially provide an alert for the amount of stocks in the stores of that sector, but can also allow for the planning of consumer behaviour modifications, etc." explains Yassine Essalih. One of today's problems: only 20 % of available data is exploitable (when it is exploited). As for dark data, it represents close to 80 % of the total volume. There exists another source of data that supply chains can now and are already exploiting: the internet of things (or IoT). Among the 50 billion connected objects estimated between now and 2020 (according to Gartner), a number of them have already found concrete professional applications in supply chains. A bonus for companies that want to optimise their logistic processes while also offering the tracing services that are in high demand from customers all over the world in a context of frequent scandals. After all, No Trust No Business. Yassine Essalih defines dark data as "all data external to the company. It is held be partners (suppliers, transporters, etc.) or transits the Web." Not taking it into account is depriving one's business of the possibility of anticipating major problems on the supply chain. The most interesting part of this story being that, to develop its solution, IBM Watson Supply Chain, the technology group built on its own misadventures. To address this problem, the technology group acquired The Weather Company business, which allowed it to add the compilation of precise meteorological data to its SaaS solution. It is already used to optimise the production of Indian farmers, the marketing campaigns of ice cream distributors in the United States and, of course, to allow Watson users to anticipate logistical problems. If the synergy between data and supply chains is so important, why has the digitalisation of the latter not been the priority of businesses during transformation? Because this technological mutation is so much more complex that to be effective it must involve many participants. This observation has considerably influenced IBM's customer approach. 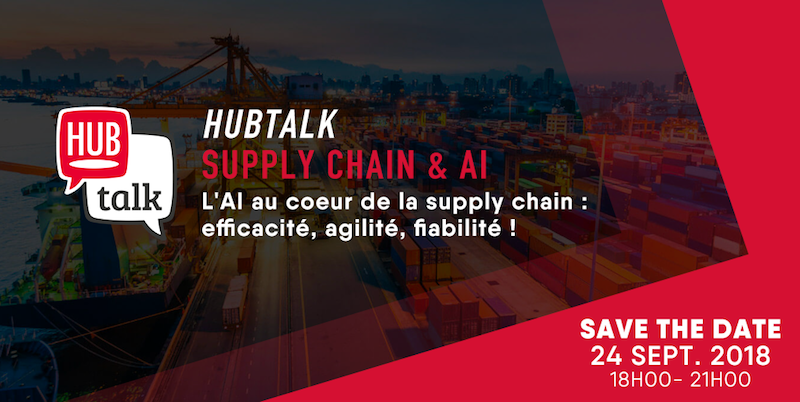 To demonstrate the effectiveness of Watson, the group put in place "Hub & Spoke" sessions, to which customers and their partners, who formed part of their supply chain, were invited. Yassine Essalih intends to explain here that Watson is already pre-educated and will even have "passed his diploma of Supply Chain specialist". Although machine learning algorithms generally require a certain learning time in the user's data ecosystem (a period during which ROI is nul or even negative), now actors such as IBM (although we can generally cite here all the large groups proposing such solutions) intend to reduce the "tunnel effect" and allow their customers to generate ROI instantly. A procedure called "Fast Start" in the Virginia Rometty firm. Once the values of the machine learning solution have been demonstrated, they are presented to all the leaders of the business. The transition to digital must be accompanied by sponsorship from the Executive Committee and lead to genuine sharing of the company's vision with its staff. The use of AI on the supply chain necessarily involves (as for all other professions) management and specific skills. If the preceding phases leads to agreement, IBM supplies a minimum viable product (or MVP, a prototype of the solution). For three months, the brand can use this SaaS solution, letting it learn its data and processes, to then validate, or not, its use depending on the first results observed. "Everything is implemented so that the solution is effective and generates results by the end of this time period," confirms Yassine Essalih. For smaller scale businesses, digital transformation of the supply chain can by partly internalised, as demonstrated by Plated. The company opted to hire a Data Science Office to form a team of data scientists and solution engineers to develop machine learning algorithms capable of compiling and interpreting data previously ignored by the company. The result was the rationalisation of production and dispatch costs, specifically via the reduction of offers available to the consumer for upwards revised profits. We have clearly understood that, even with AI, one of the major issues of digitalisation of the supply chain is being able to include all of its links. There is a nascent, but extremely promising, technology on the market that is being proposed to retailers to help them solve this problem: blockchain. Using it all logistical processes can become, not only more secure, but also faster, allowing all the actors in the supply chain to harmonise their data exchange and react to the smallest irregularity in record time. Another weapon for bringing dark data into the light that we will save for another reading.